The law in the UK states that you are legally required to be able to read a number plate from a distance of 20.5 metres in normal conditions. If you can’t meet this standard, your insurance will be invalid. However, there are two obvious problems with this criteria: it requires drivers to self-test (which they rarely do) and secondly, it doesn’t test for visual fields (your peripheral vision), which is essential for safe driving. 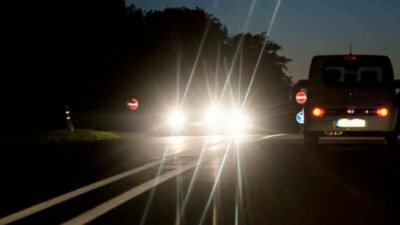 Additionally, certain eyesight conditions, such as cataracts and double vision must be reported to the DVLA and drivers must be able to see clearly out of the corners of their eyes and when driving in the dark. Drivers who don’t take responsibility for their vision by having regular eye tests risk serious penalties if involved in an accident. This can include points on your licence, a fine or even time in prison. Make sure that you don’t get caught out when it comes to driving. At Scher & Ward Opticians we will ensure that your eye prescription is correct, up-to-date and we will answer any queries you may have about driving and the law. Do I qualify for an NHS test?